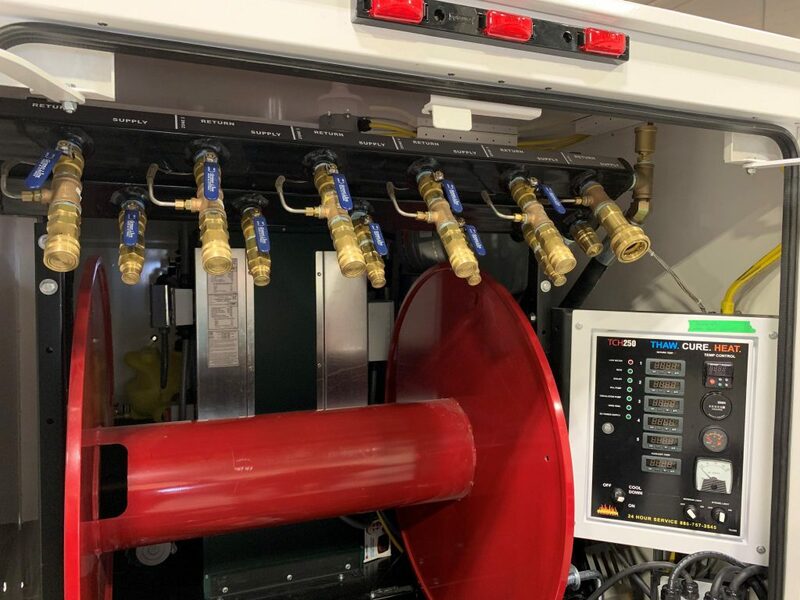 Improved capability with patented HEATZONE fluid distribution technology. Newly designed Manifold System provides more flow for better heat transfer. 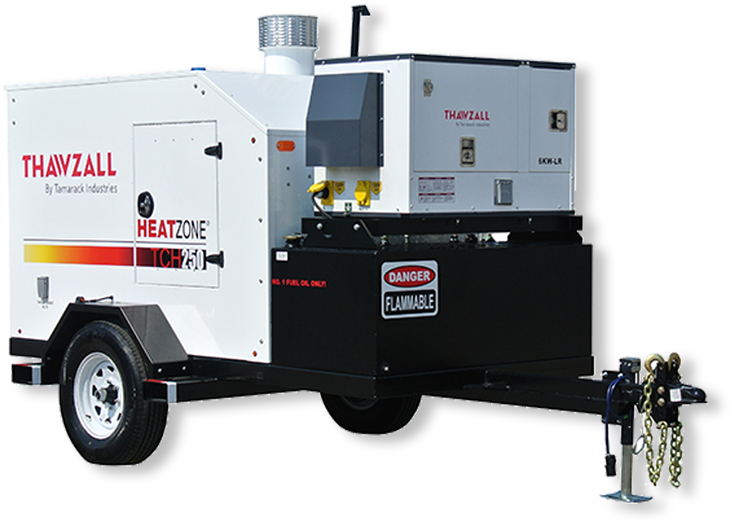 With 5 Heating Zones the TCH250 is more versatile than ever for both ground thawing and concrete curing applications. Also comes equipped with a 1″ Quick Coupler for accommodating Heat Exchangers and other accessories. Easy Operator Interface – newly designed control box located at rear passenger side with 1 Single OFF/ON switch for simple operation. 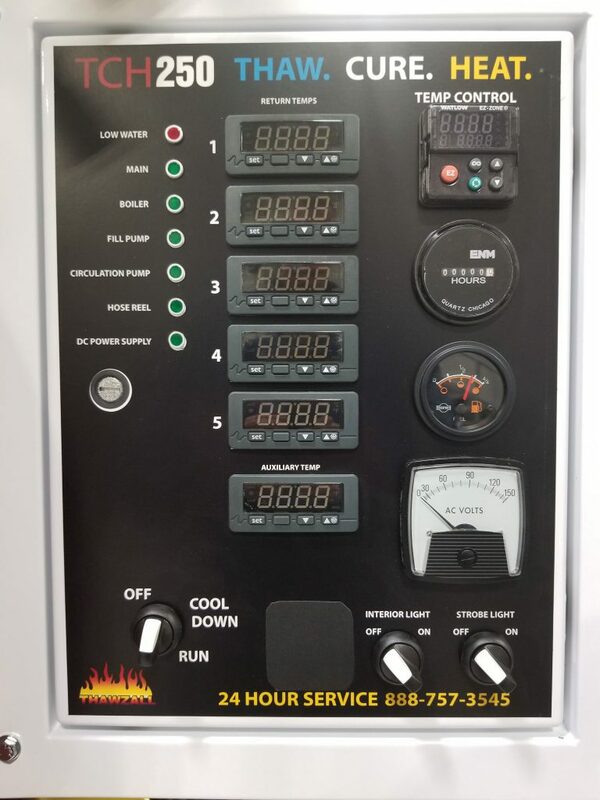 Set supply temperatures of the HTF for ground thawing and concrete curing applications. Individual return temperature display for each of the 5 Zones. Fuel gauge and low water alert are added to the control box for trouble shooting. 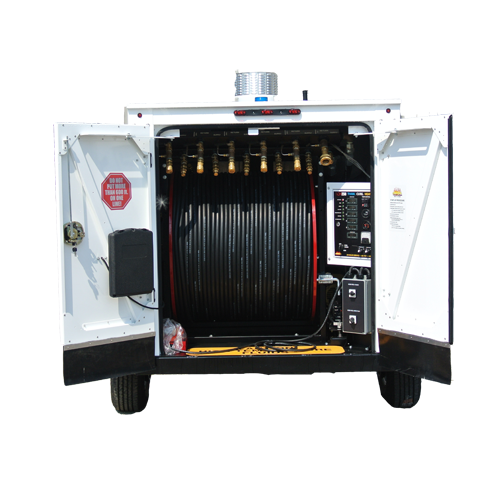 Powered Hose Reel with free-wheeling option for one person operation. On board pump for charging the system with glycol when needed. Optional Standard and Long Run Generators available.